WhiteSmoke Web allows you to use all the core features of the grammar checking algorithms by simply logging in via your web-browser. 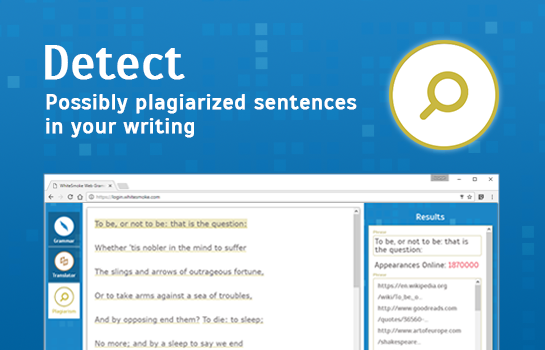 Get the most advanced grammar, spelling, punctuation and style correction on any computer you use. No installation required! 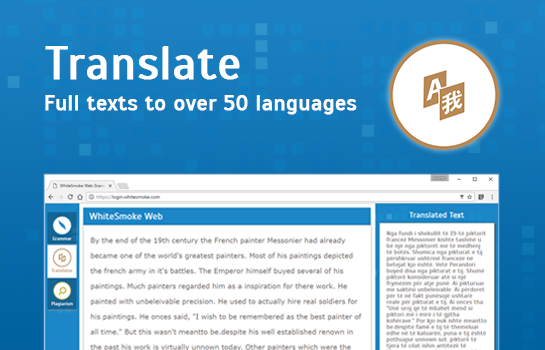 Future updates will include English writing tutorials, video tutorials, letter templates and much more. 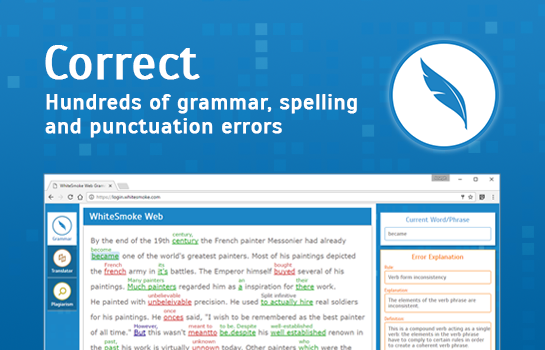 Add A quick WhiteSmoke check to your writing routine and never miss an error again.